According to his attorney, today’s fraudster didn’t pocket a dime, but was simply a good ol’ boy banker trying to help out his customer. Prosecutors shot back that while the investigation did not find any payments or kickbacks, the defendant was rewarded for his loan portfolio size with salary and promotions. Here is a partial laundry list of stuff he did that earned him 15 months in a federal work camp and liable for $2.5 million in restitution after pleading guilty to one count of loan fraud. · To avoid Bank management’s close scrutiny and possible disapproval of the four loans, our banker attempted to conceal that the loans were made to pay down past due loans and operating expenses. · The banker falsely stated in Bank records and to Bank officers that the proceeds of each loan would be used by the borrower to purchase trucks or trailers. · Our banker knew that no trucks or trailers would be purchased with the proceeds of the four loans, and therefore, no purchase money security interest would be obtained. In addition, the banker obtained only a security interest in other trucks and trailers that were pledged through the borrower’s connections and did not perfect the security interest in any collateral, including the trucks and trailers pledged. As a result, the banker left the Bank in a collateral position subordinate to any other lender with a prior or perfected interest in that collateral. 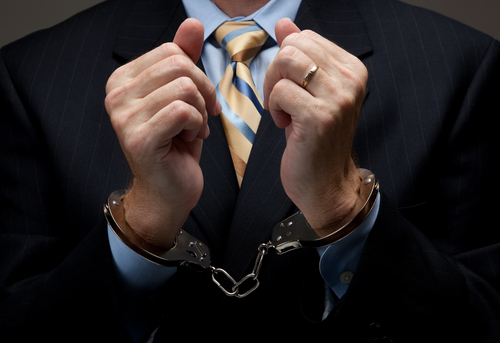 · As a result of the banker’s misconduct the Bank incurred losses on all four loans, totaling $269,485.